What’s happened at the talks? The North’s response to all of the South’s proposals is not yet known. The opening remarks of head of the North Korean delegation, Ri Son-gwon, were fairly neutral. He said he hoped the talks would bring a “good gift” for the new year and that the North had a “serious and sincere stance”. The talks began early on Tuesday in the Panmunjom “peace village” in the demilitarised zone (DMZ) at the border. In his New Year address, North Korean leader Kim Jong-un had said he was considering sending a team to the Olympics. 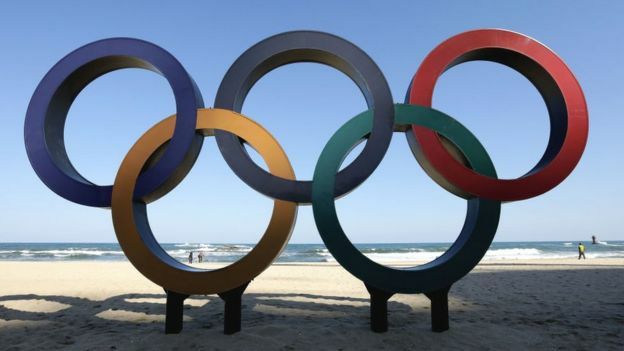 South Korea’s Olympics chief had said last year that the North’s athletes would be welcome. Following Mr Kim’s overture, the South then proposed high-level talks to discuss the North’s participation, but the North only agreed to the talks after the US and South Korea agreed to delay their joint military exercises until after the Olympics. The North sees the annual drills as a rehearsal for war. Some critics in the US see the North’s move as an attempt to divide the US-South Korea alliance. A little over a week ago North Korea was threatening nuclear war – this morning a delegation from Pyongyang strode across the demarcation line that divides North and South Korea and agreed a North Korean delegation would attend the Pyeongchang Games. It is a sudden and dramatic change after months of tension. But few in the South believe any of this demonstrates a fundamental shift in Pyongyang’s position. 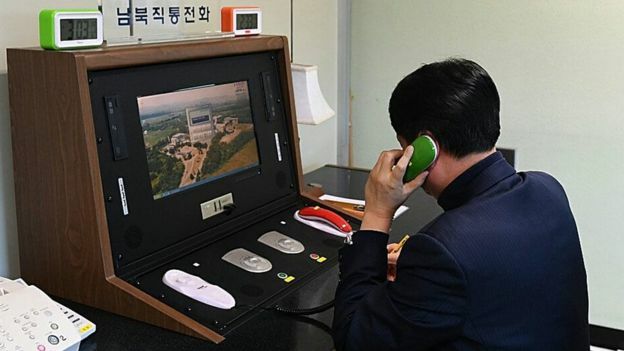 Experts say North Korea’s leader Kim Jong-un has become increasingly fearful that the US is planning a military strike against him, and has decided he must do something to de-escalate tensions. South Korea’s president Moon Jae-in has been thrust in the delicate position of trying to engage the North in genuine dialogue, while not upsetting his very sceptical American ally. 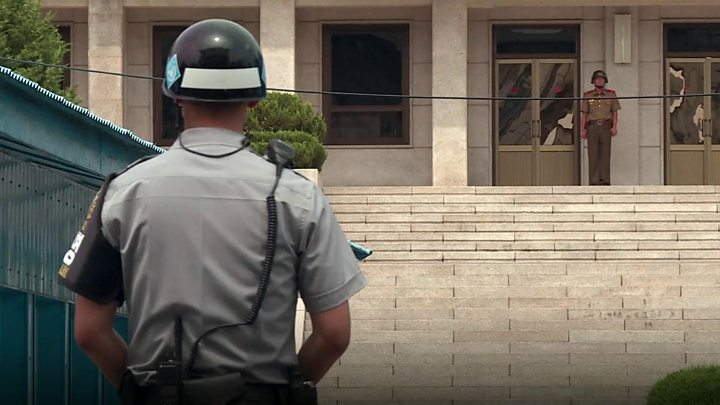 What is the significance of Panmunjom? The “truce village” is divided into two parts by a military demarcation line: one side belonging to the North, the other to the South.